On the train from Cairo to Luxor — “Luxor?” asks the bearded man in a blue wool pea coat and baggy stripped trousers as we hoist our suitcases up the staircase and into Cairo’s Ramses train station. 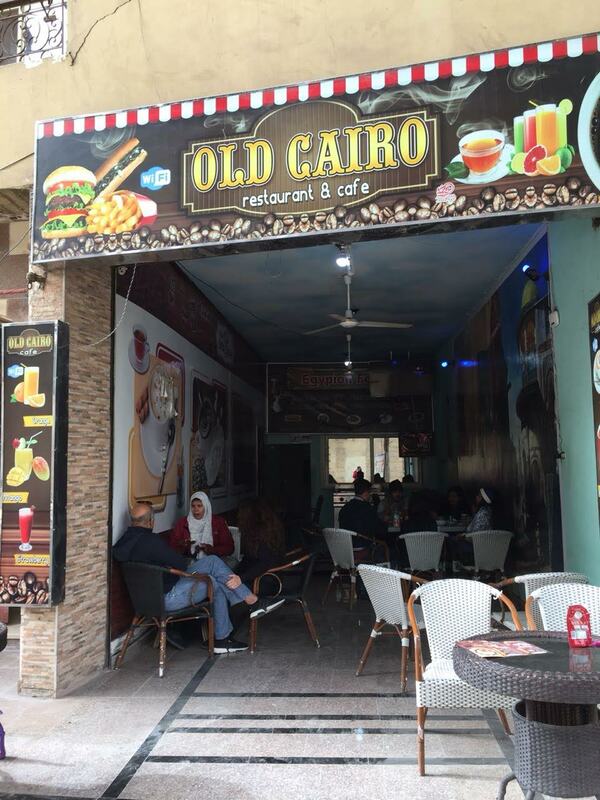 Like just about everywhere we’ve managed to go in the Cairo, we’re getting by with a lot of help from new friends. The man points to the other side of the tracks, and walks with us to Platform 8 where Train 980 awaits. We give him a small tip, grateful once again that things are going surprisingly smoothly in what could be a journey fraught with problems. Few tourists travel independently in Egypt, and few take the trains, preferring cruises along the Nile or short flights instead. Without help from our Uber driver who knew a back entrance to the station where we could avoid a crush of humanity trying to shove boxes and suitcases through an x-ray machine, we might still be wandering around trying to figure out how to decipher the Arabic signs. And without the help of an Egyptian acquaintance who bought our tickets ($11 for first-class seats on a 10-hour Journey) we might not be on the train at all. The reason is that the government prefers foreigners take an overnight sleeper train ($100), accompanied by tourist police, instead of the local day train. But we wanted to see the countryside, and in terms of safety, it seemed to make more sense to NOT take a train designated for tourists only. It’s not illegal, after all, for foreigners to ride the local train, it’s just that we can’t buy tickets, at least directly, a problem solved by the willingness of an Egyptian to buy them for us. So here we are ready to start the second leg of a two-week trip to Egypt, surrounded mainly by men in first class, all locals with the exception of us and three travelers from Australia who managed to buy their tickets online. Allowed to board briefly before the train left the station was a woman who tossed little packets of Chicklets into our laps, then came around to collect them, and another in a black niqab making a plea in Arabic for money for her family. Our seats are worn, but comfortable. The AC works, sometimes too much. There’s no smoking in the cars, so people stand in the hallways and light up. A city of 20 million, Cairo was recently ranked the world’s most polluted city and the third-noisiest (after Guangzhoui and Delhi). WIth it’s constant traffic jams and ceaseless honking car horns, it’s not for everyone, but we’ve loved being here, from the minute we arrived at our charming little three-start hotel in the residential quarter of Zamalek (albeit at 1 a.m. because our flight was three hours late). With its art and music schools, museums, cafes and foreign embassies, Zamalek is a relatively calm oasis away from the chaos of downtown or Old Cairo, and our Longchamps Hotel is an excellent alternative to a chain hotel that even travel guru Rick Steves didn’t seem able to avoid. The owner, Hebba Bakri, returned from Germany 16 yeas ago to take over the hotel started by her mother in 1953. Renovated in the style of a Parisian guesthouse with antique furnishings and photos of old Cairo on the walls, Longchamps was our launch pad for five days worth of excursions around the city by foot, Uber or subway, and a home away from home when we returned from hour-long crawls through traffic. Instead, we met helpful and friendly people, such as this baker, who climbed up the stairs from an open-air oven we spotted while walking along the Nile our first afternoon. He offered us fresh loaves, then asked for us to pose with him for a selfie. 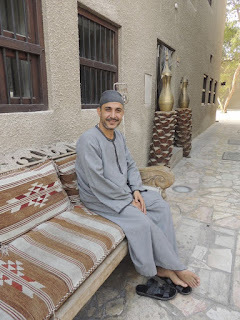 WIthout a tour operator to arrange excursions, we signed on with Urban Adventures for a walking tour of downtown, a morning tour of the pyramids in Giza and an evening dinner with a family in Cairo. A guide from another organization called Cairo Walking Tours led us on a four-hour exploration of Coptic (Christian) Cairo and Islamic (Old) Cairo. The downtown tour took us first on the subway where I had the chance to ride in one of the female-only cars. Couples traveling together generally ride in the “mixed cars,” but women traveling alone prefer their own designated cars to avoid unwanted touching on crowded trains. Our walking tour took us past Tahrir Square, the site of mass protests that led to the Arab Spring revolution in 2011. We learned to cross streets where there are no stop or walk lights, just horns blowing contstanly as a warning that you or another car are in the way. Best advice: Walk with a group, if possible, and if in doubt that a car will stop, hold out your right arm, as if you are pushing it away. Stop often for coffee or ice cream that stretches like taffy, and try Koshary, a national one-pot dish made with pasta, rice, tomato sauce, lentils and chickpeas and doused with either garlic or hot sauce. Almost every tour includes a stop for this dish, not a big expense to include since the average price is about $1. I expected the 5,000-year-old pyramids at Giza to be the highlight of our stay in Cairo, and they were amazing to see, especially because our Urban Adventures guide led us in the opposite direction of all the bus tours, leading us first to the reclining Great Sphinx when no one else was around, and later to the complex of three pyramids while most others were walking towards the Sphinx. What I will remember most, however, about our stay in Cairo, will be the dinner we had later that evening in the home of a Cairo couple, Reham and Ahmed, both 37, and their three children. Along with an English-speaking guide from Urban Adventures, we sat around their dining room table, eating chicken topped with green and red sauces; rice; grape leaves, salad and homemade babba ganoush; and chatting about everything from food and family to politics. This group mostly seemed to favor Sisi, Egypt’s secular but hard-line military leader, over Mohamed Morsi, the Muslim Brotherhood candidate who was elected after the revolution, then deposed a year later. Reham showed me the collection of colorful scarves she has to go with varioius outfits, then insisted that I learn how to tie one, so we could all pose for pictures. Afterwards, we had tea and looked at their wedding pictures as we relaxed in the living room of the three-bedroom apartment they bought when they married 15 years ago. Not all Muslim women in Egypt wear the head scarf. Some don’t cover at all, and others wear a full niqab, a black garment that covers the face except for the eyes. Religious beliefs, not government rules, determine what whether you decide to cover or not. Like Reham, most young Muslim women seem to prefer a head scarf only, worn causally with jeans and stylish jackets or sweaters. Islam is the main religion, but Egypt has a sizable Christian population dating to the time when Rome ruled Egypt and Alexandria was one of the world’s great Christian centers. Egyptian Christians are called Coptic Christians or Copts. They are part of the Roman Catholic Church, but as an Eastern rite,, their churches and services are different, and interesting to observe. Icons replace crosses or the crucifix, and men and women worship in separate areas. The priests wear black cassocks and round, beret-like black hats. We visted an area, called Coptic Cairo, filled with Coptic churches and also the beautiful Greek Orthodox Church of St. George. One of the Coptic churches houses the cave where scriptures refer to Jesus, Mary and Jospeh taking shelter when they fled to Egpty to escape persecution from King Herod who ordered a massacre of male infants. Arabic and Roman inscriptions in Cairo's "Cave Church"
One of the most interesting is the “Cave Church,” also called the Monastery of St. Simon the Tanner, carved into a mountain in an area known as “garbage city” because of its large population of garbage collectors who are also mostly Coptic Christians. Built into a pre-existing cave in the 1970s, the church looks more like a stadium and has a seating capacity of 20,000. The only way in is through garbage city where cars share a narrow street with donkey carts and trucks piled with cans, plastics and papers to be recycled. Located in the oldest part of Cairo, called Islamic Cairo, are dozens of mosques, many of which anyone can enter. Everyone must take off their shoes, and women must cover their heads and wear skirts over pants (loaner robes are available). Inside we found men staking out nooks in which to pray or read the Koran while women tended to congregate in groups. Still expecting to encounter some pushy touts, we wandered into Khan al-Khalili, a 14th century bazaar that caters mostly to tourists these days, but services locals with plenty of stalls sellling cheap clothing, food, spices and gold and silver jewelry. Perhaps it was an off-day, or it’s just that tourism in Egypt overall is still down, but the sale pitches were again surprisingly low key. We skipped coffee at FIshawi’s, a historic cafe hidden deep into the market, and instead scored a sidewalk table at Eqyptian Pancakes near the Al-Hussein Mosque where we sampled a pizza-like crispy treat filled with coconut and golden raisins and sprinkled with powdered sugar. I can’t say we’ve found anything on the train as tasty, so good thing we brought along our own snacks. Time’s flying as we breeze past dusty villages and farms dotted with palm trees. It’s not the best train I’ve been on, but certainly not the worst. And spending 10 hours reading, writing and listening to podcasts beats sleeping the time away at ten times the cost. After two "false starts" in the past nine years, we are off to explore Egypt for the first time. As usual, this will be a do-it-yourself trip, planned as an independent adventure rather than part of an organized tour. We first made plans to visit in 2008, but put the trip on hold when the U.S. economy began to tank. Then we briefly reconsidered going last fall, but backed off due to lack of time to prepare. Now, with our plans finally in place, I'll share some ins and outs of putting the trip together. The decision to go now started with the idea that Egypt has not yet recovered from a downturn in tourism that began with Arab Spring, the anti-government protests that spread across the Middle East in late 2010. Low prices and improved security are drawing visitors back, but not at high numbers, which means it's still a good time to go. If I worried about "safety" I'd never travel outside the U.S. But for those who might be concerned, the State Department, which once warned against travel to Egypt, has softened its advice to exercise caution in a couple of areas where few tourists go. Figuring out how to reach Cairo from the West Coast was the first challenge. All flights require a connection and a long layover in cities as Paris, Dubai and Frankfurt, with a minimum of 18 hours of flight time and inconvenient arrival times. The solution: Break up the trip buy buying a ticket from Seattle into Rome and out of London on Delta, then book a separate ticket on Egypt Air from Rome to Cairo and Cairo to London - all for about the same price we would have paid for a Seattle/Cairo round-trip. We'll spend three days in each of those cities - an extra bonus - and instead of arriving in Cairo after 11 p.m. as we would have on the through flights, we'll be there around 8:30 p.m. The next decision was how much time to spend in Cairo. The capital of Egypt is a sprawling city of nearly 20 million, filled with historical treasures, but also teaming run down tenements and traffic-clogged streets bathed in bad air. Some stay only long enough to see the pyramids at Giza and the Egyptian Museum before traveling to visit the ancient tombs and temples of Luxor, or boarding a Nile cruise. Given that we love cities, and hate rushing, we settled on six nights and five days, taking care to guarantee there were rooms available in the little family-owned boutique hotel I found nine years ago. With its updated rooms and excellent reviews, I thought it might be difficult to get into the Hotel Longchamps in the residential neighborhood of Zamalek, an island in the Nile across from downtown Cairo. But with tourism depressed, the owner offered me a discount.- any of her rooms for $99 a night. She's been an excellent help so far with questions, and I look forward to meeting her. Next came the visas. Egypt issues visas to foreign travelers at the airport, but to speed up our arrival, I applied online for electronic visas ($25). They arrived in my in-box just a few days after filling out a form and submitting copies of our passports. Now it was time to arrange a few tours. I settled on three offered by Urban Adventures, and another by Cairowalkingtours.com, all booked and paid for online, with generous cancellation policies. Urban Adventures is a division of Intrepid Group, which designs longer budget group tours to destinations around the world. Urban Adventures puts together day trips and half-day excursions led by young people using small vans or public transportation. Our five-hour tour of the Giza Pyramids ($40 each) will include transportation and lunch at a local spot for Koshary, a national dish made with rice, macaroni, and lentils mixed together, topped with tomato sauce and garnished with chickpeas and crispy fried onions. 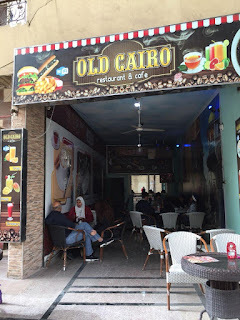 Another day, we'll explore Coptic (Christian) and Islamic Cairo on a six-hour walking tour with Cairowalkingtours.com, and then go to the home of a Cairo family for a traditional meal and conversation about local culture and what it's like for women in the Middle East. Perhaps we'll gain enough "street smarts" to make our way by subway back to Giza one night to the roof top of the local Pizza Hut to see the pyramids lighted at night. From Cairo, we'll travel to Luxor by day train, a 10-hour trip that skirts farming villages along the Nile provides a glimpse into Egyptian village life, and take a van or private car from there to Aswan, near the border with Sudan. Why no sleeper trains or cruise along the Nile? The sleeper train would be comfortable and the cruise scenic, but we have plenty of comfort and scenery here at home in Seattle. We're just as interested in meeting people and observing village life as we are in seeing the sights. We're told the train trip is beautiful, although long, so we plan to go prepared with plenty of water and snacks. I've relied on the excellent Man in Seat 61 website for information about the trains and how to buy tickets. This could be the riskiest part of our trip, since technically, foreigners are allowed only to buy tickets for the more expensive sleeper trains which are patrolled by tourist police. It's not illegal, however, to travel by day train. We have a plan which I'll talk about in a later post. 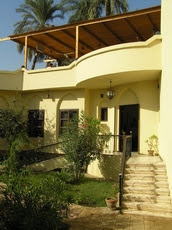 Most lodging in Luxor is on the east bank of the Nile, a touristed hub close to the temple sites of Luxor and Karnak. Quieter and more remote is the west bank, the location of the ancient tombs - the Valley of the Kings and the Valley of the Queens - that replaced the pyramids as burial sites for pharaohs and nobles. 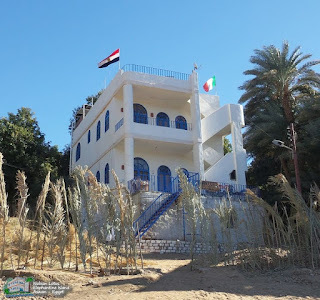 We chose the west bank and the little German-Egyptian-owned El Nakhil Hotel ($40 a night with breakfast), reachable by a foot ferry across the Nile and a short walk to Geziret el Bairat village. Part of the adventure will be following the owner's scavenger hunt-like directions on how to get here from the train station. "Walk or take a taxi ($1.50) from the station. Cross the Nile by ferry or motor boat (30 cents per person), then go straight on the main street (look for the minaret of the mosque). Cross the street and turn into the village, pass the mosque and follow the street until it turns right, then go straight on. Pass El Fayrouz Hotel (pink building) and you come direct to the entrance of El Nakhil!" Our last stop will be Aswan in Nubia, a dry, desert region along the Nile between Upper Egypt and Khartoum in central Sudan. Here we found an Airbnb ($45 with breakfast), the Nubian Lotus, on Elephantine Island, an island in the Nile. The owners are Marta, from Italy, and Osama, from the island. 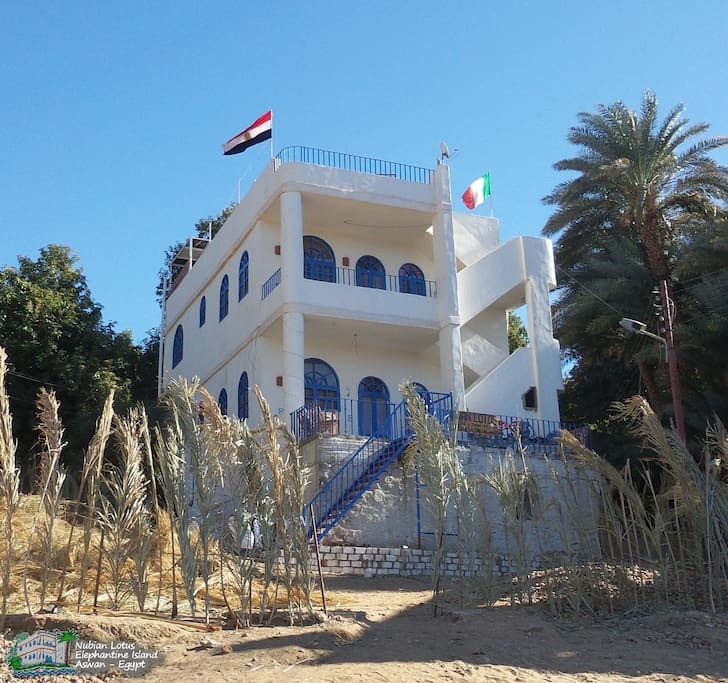 Together they have created an Italian/Nubian village retreat, calling on her background in art and architecture and his experience as a professional travel organizer, to offer Italian or Egyptian meals to their guests, and arrange early-morning excursions to the rock temples at Abu Simbel on Lake Nasser. We'll fly back to Cairo from Aswan, spend one night near the airport, and fly to London the next morning for three days of exploring before heading back to Seattle. As usual, you can follow updates to this blog by entering your e-mail address to the left of this post.